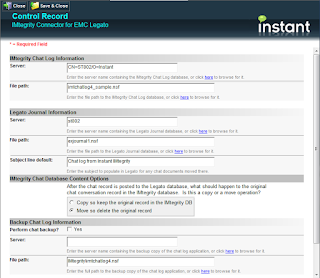 We have recently released our IMtegrity Connector for EMC's Legato application. 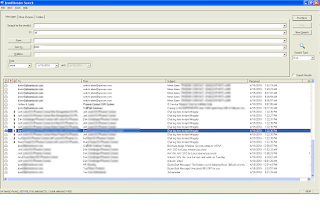 The IMtegrity Connector for Legato provides the ability to automatically move Sametime chats, captured and stored in IMtegrity, to the exjournal.nsf database where they are imported by Legato. 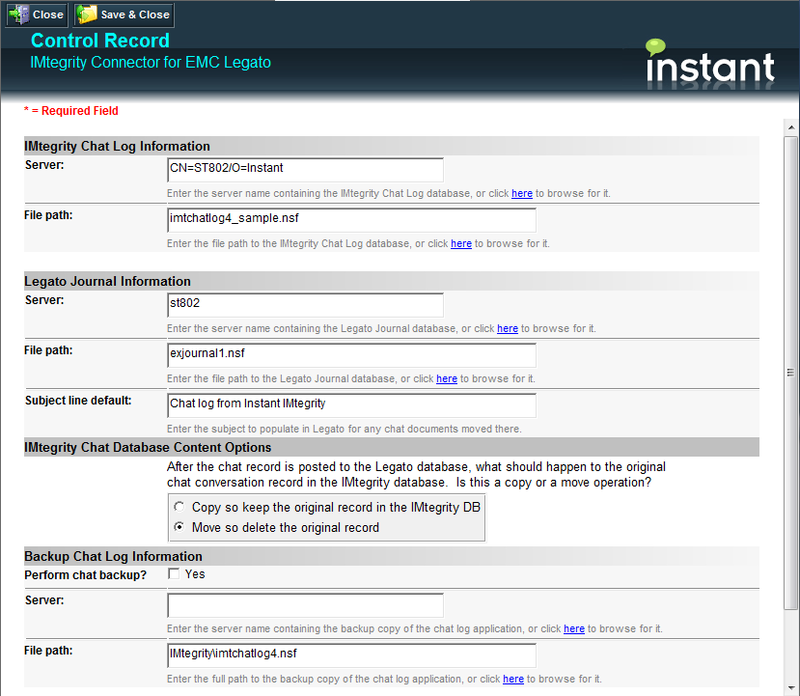 For customers with Sametime and EMC's Legato, IMtegrity makes an ideal Sametime chat archiving application. 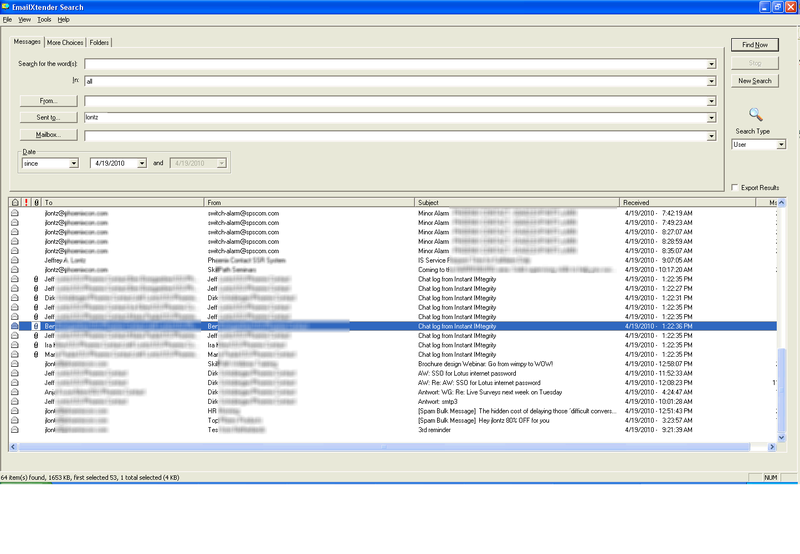 Many thanks to out joint IMtegrity and Legato customers who helped with the development, testing, and deployment. Specific thanks to Tim Browne and Jeff Lontz. Jeff worked with us during our initial implementation and Tim Browne provided an excellent design and feature list. Here is a brief case study on the deployment.